Multi-Ply Paper Rolls allow you to print duplicate or triplicate tickets. Commonly used in Bars, Restaurants and cafe’s where the same docket go to different order prep areas. VIP! 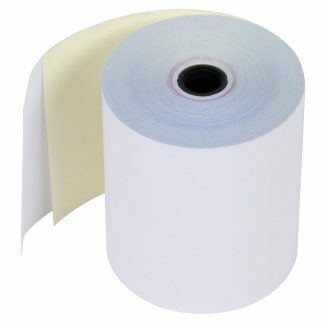 multi-ply register rolls only work with dot-matrix impact printers. If your printer uses a ribbon, then you have the right type of receipt printer. These rolls fit all the major brand docket printers like Epson, Bixolon and Citizen.